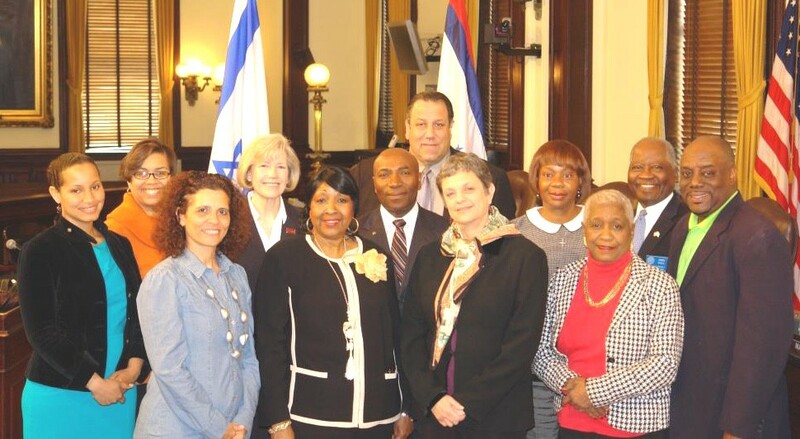 Israeli educational and cultural leaders wrapped up a three-day visit to Savannah this week with the goal of developing lasting ties between Savannah and Israel. The delegation included Dr. Yael Yuli Tamir, Chairperson of the Association of Civil Rights in Israel and President of Shenkar College, an art and design college near Tel Aviv; as well as Yonit Stern, Director of Cultural Affairs at the Consulate General of Israel to the Southeast. The delegation met with the Presidents of Armstrong Atlantic State University; the Savannah College of Art and Design; Savannah State University; and Savannah Technical College. Mayor Edna Jackson and Savannah Jewish Federation Execu- tive Director Adam Solender played host for much of the visit. Mayor Jackson presents gifts to Dr. Yael Yuli Tamir, President of Shenkar College (left); and Yonit Stern, Director of Cultural Affairs at the Consulate General of Israel to the Southeast. community, which became heavily involved with Savannah’s Civil Rights Movement during the 1960s. 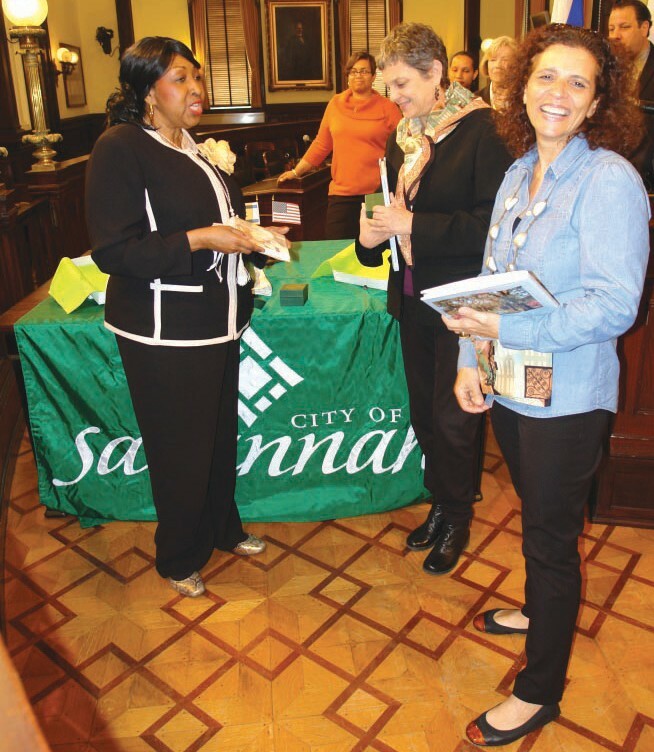 This shared history, she said, has progressed into a formal relationship that is developing economic, educational and cultural ties between Savannah and Israel. Mayor Jackson invited Dr. Tamir to Savannah when the two met last spring while the Mayor was in Israel for the International Conference of Mayors. During the same trip, the Mayor extended an invitation to the head of the Israeli National Chambers of Commerce. That resulted in a visit last summer from Israeli Chamber officials, who met one on one with Savannah business leaders interested in expanding into Israeli markets. Earlier this month, officials from Israel’s leading shipping and logistics companies visited Savannah to discuss ways to increase trade through Savannah.